Since 1980, Contract Design Associates (CDA) has been a full-service office furnishings dealership serving the Northwest. CDA, was locally founded by Bruce and Jill Butterworth. CDA, an authorized Herman Miller dealer, services Eastern Washington, Northern Idaho and in 2012, expanded its reach by opening its second office and showroom in Missoula, MT. Gwen Marlow and Jared Butterworth joined Bruce and Jill as Principals in the company in 2016. In December 2017, after 37 years, Bruce and Jill retired. Gwen and Jared purchased the company and assumed operations on January 1, 2018. 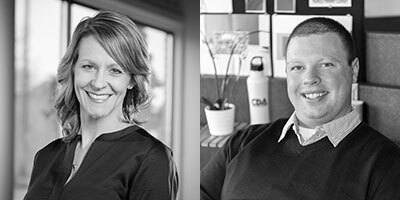 Gwen and Jared are focused on sustaining CDA's core value of customer service while continuing to cultivate a team known for their focus on meeting the customer's functional requirements, aesthetics, budgets and timeline. These efforts result in the best possible combination of long-term quality, value and productivity for clients in education, healthcare, government and corporate markets served. For more information, visit www.cdainteriors.com. Cindy Guthrie has joined Statehood Media as a Senior Sales Executive. Statehood Media publishes 1889 Washington's Magazine, the premier Washington lifestyle publication (1889mag.com), as well as 1859 Oregon's Magazine (1859magazine.com) and OnTrak, the official seat-back publication aboard Amtrak Cascades. 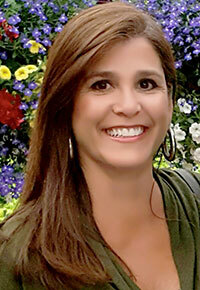 Cindy has eight years of experience in print sales, marketing and business development. Her territory includes Washington and Idaho. Statehood Media will also launch GlampNW, an RV-centric outdoor lifestyle publication, in June 2018. Statehood Media offers branding packages for print, social media and digital platforms. To learn more about Statehood Media, visit www.statehoodmedia.com. Spokane International Airport announced that 2017 established new record totals for passengers and air cargo activity. Total passenger count totaled 3,550,912 that exceeded the previous record of 3,472,901 reached in 2007. Air cargo totaled 72,376.3 tons (144,752,600 lbs.) in 2017, exceeding the previous record of 69,217.6 tons set in 2015. Spokane Airport Board Chair Nancy Vorhees, stated, "The new record of over 3.55 million travelers utilizing Spokane International Airport was achieved through the investment by American, Southwest, and United Airlines in new nonstop service launched to San Diego, Chicago O'Hare, San Francisco, Dallas/Ft. Worth, and Sacramento. The customer response to these additional flights is a strong indicator of market demand for travel between the Spokane/Coeur d'Alene region and California, the Midwest, and South Central United States. We sincerely appreciate the investment made by our airline partners in opening up more efficient nonstop service to cities that are important to our business and leisure activity markets. In addition to the new nonstop service, our network performed well in city pairs that the airlines have served historically." On the cargo side, as the primary commercial service airport for the three state region, the effects of e-commerce and changing consumer buying habits have led to the increase in freight handled at Spokane International Airport. Tickets are on sale now at InlanderRestaurantWeek.com, all proceeds from the event will go directly to Second Harvest in support of its mission to provide healthy food to those who need it most in the Inland Northwest. First Bite for Second Harvest also serves as the official kick-off to Inlander Restaurant Week. All of the 107 participating restaurants' menus will be revealed at the event, and guests will be the first to receive the official printed guide. Inlander Restaurant Week begins on February 22. Participating restaurants will provide three course meals at the set price of $21 or $31 during the 10-day event. President Jennifer Ferrero, Switch Up Consulting; past president Lori Maricle, Washington State University College of Pharmacy; secretary Tessa Vlaar, Squishy Peanut Marketing; treasurer Taylor McGill, Corlinc; sponsorship chair Tim Osborn, Edward R. Murrow College of Communication at Washington State University; student relations chair Katy Wagnon, Washington Trust Bank; programming chair Laura Bracken, Design Spike; communications chair Elizabeth Giles, Numerica Credit Union. Becky Blankenship has joined ALSC Architects of Spokane as a Project Manager. A Designated Design-Build Professional, Becky earned her Master of Science in Project Engineering and Management (MPEM) from the University of Montana. She brings more than 20 years of experience in Civil Engineering, Architecture, and Construction to ALSC's team. Becky's talents are being applied to several banking and credit union projects. Carla Lancaster has joined ALSC as an Administrative Assistant. With over 25 years in the industry, Carla is providing office and administrative support for ALSC's architectural and interior design staff. 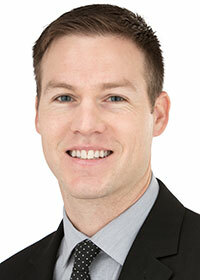 The West Plains Chamber of Commerce has announced the hire of Toby Broemmeling as its new executive director. Toby resides in the West Plains area and for the last 6 years has served as the Area Director for a nonprofit ministry Young Life for Fairchild Air Force Base and then for the greater West Plains area. He serves on the West Plains Truancy Board and as a volunteer pastor at the Heights Church in Airway Heights. He holds a Bachelor of Arts in Business Management, Economics, and International Business from Whitworth College. The West Plains Chamber's Annual Meeting is on Tuesday, January 30 in the Kalispel Ballroom at Northern Quest Resort & Casino from 7-9am. For reservations, visit westplainschamber.org. Spokane Public Radio's Record Sale is coming up, to be held on Saturday, February 24 and Sunday, February 25 at the Spokane Valley Event Center, 10514 E Sprague. Hours are Saturday 9am to 5pm and Sunday 11am to 5pm. You can donate reusable music and audio/video equipment for the record sale through Saturday, February 10. For more information on donating, drop off locations, and the sale, visit spokanepublicradio.org. 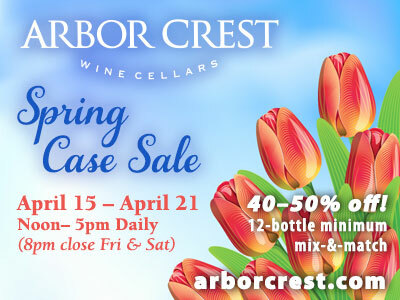 Proceeds from the sale benefit Spokane Public Radio. 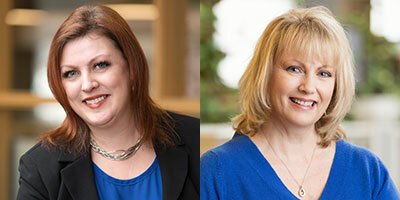 Women & Children's Free Restaurant & Community Kitchen (WCFR) has named this year's board of directors and officers, including two newly elected members, Charlotte Nemec, incoming CEO at Spokane Federal Credit Union and Kimberly Thielman, Manager of Business Development & Renewals at Asuris Northwest Health. Officers include Lori Moloney, President (Community Volunteer), Kris Mason, Past President (Community Volunteer), Nancy Mahoney, VP-Secretary (Dew Drop Sprinklers & Landscaping), Dori Sonntag, Secretary (Gonzaga University) and Lisa Diffley, Executive Director (WCFR). Returning board members are Becky Blankenship (ALSC Architects), Lisa Cargill (DH), Paddy Carlson, ARNP (DSHS), Susan Foster-Dow (Catholic Charities Eastern Washington) and Brian Sayler (Bouten Construction Company). Women & Children's Free Restaurant & Community Kitchen is a 501(c)(3) nonprofit celebrating its 30th year as a vital safety net filling nutritional gaps for women and children in need while fostering dignity and respect, both within their restaurant and in the community. WCFR provided 66,500 nutritious, well-balanced meals to less fortunate women and children in 2017. The Restaurant promotes good nutrition and healthy eating habits by subscribing to whole food cooking, preparing meals from scratch, and using many fruits, vegetables and lean meats. 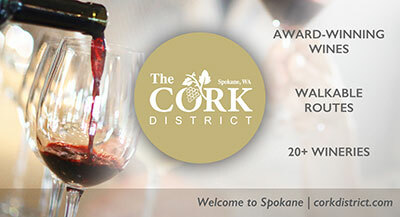 For more information, visit www.wcfrspokane.org. Chronic Tacos Spokane is located at 524 W Main Ave in downtown Spokane, this is the second location to open in Washington and the first to open in Spokane. The California-inspired Mexican Grill hosts Grand Opening Celebration Saturday, February 3, from 11am to 3pm. The event will include prizes and giveaways and a Live DJ. The first 20 people in line get a free taco every week for a year, first 50 people to line up will get a free taco that day. Chronic Tacos is a fast-casual franchise known for its fresh Mexican cuisine that is customized for each guest's distinctive taste. Founded in 2002, the Aliso Viejo, California-based company has more than 50 locations operating across North America and is committed to serving only the highest quality ingredients and all-natural meats. Chronic Tacos offers traditional Mexican items, and offers vegetarian and gluten-free options. For more information visit www.chronictacos.com.